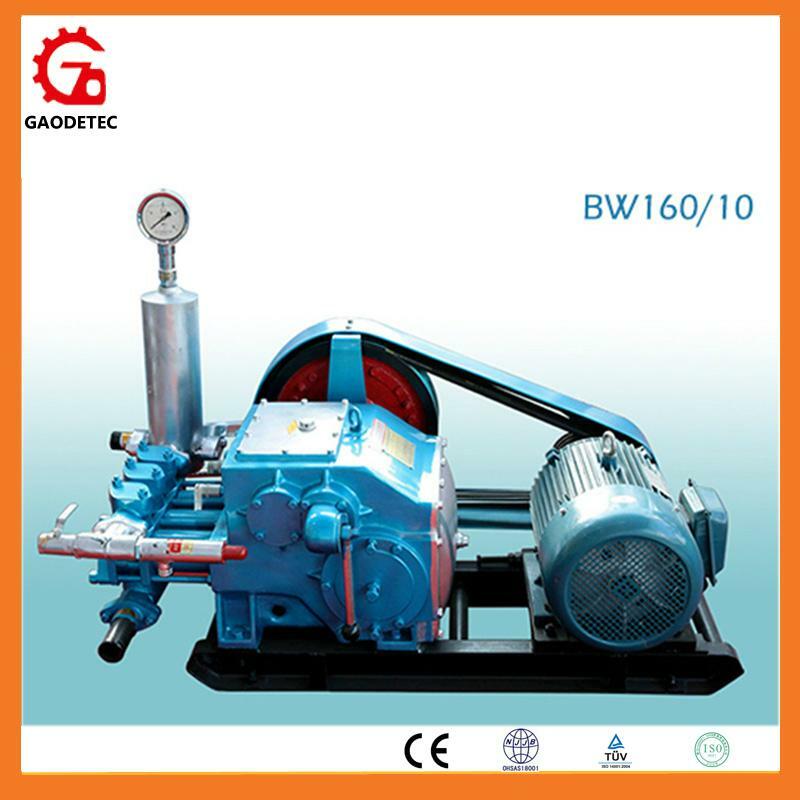 BW160/10 is a light weight mud pump. It is single-acting 3 cylinders piston pump. It has small volume, light weight, long operating life, easy operating, flexible and reliable, many interchangeable parts and standard parts etc. BW160/10 mud pump is portable flexible and easy to move. The power has electric driving and diesel driving, customer can choose before ordering. It can also use hydraulic motor to drive. BW160/10 mud pump can be used in railway, water conservancy, building, geology etc. Within the drilling depth of 1000 meter, it can be also used for geological exploration and engineering exploration etc.